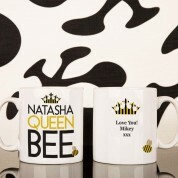 Make sure the queen bee knows she's in charge with this personalised mug - perfect for at home or in the office! 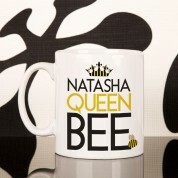 The black and yellow design features a crown sitting above her name, which is followed by the "queen bee" text and bee graphic. 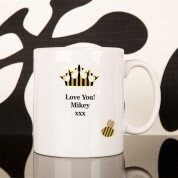 The back of the mug is complete with a personal message of your choice, again sitting under a striped crown. 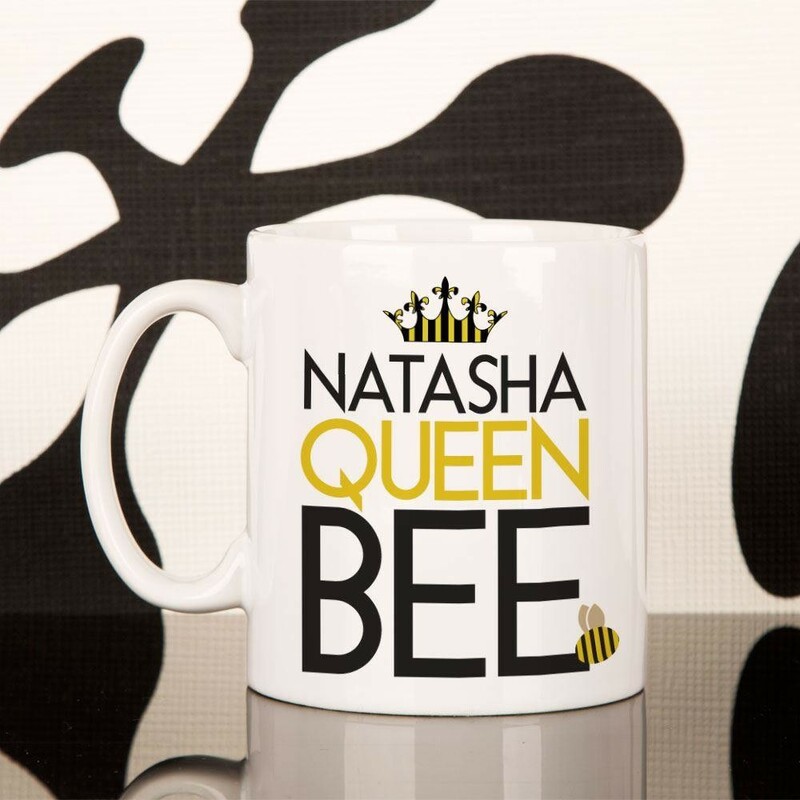 It's a great and practical gift for her, ideal for her birthday, Christmas, or when she's got that promotion to the top spot!